If you use a calendar available from an online service such as Yahoo! or Google, you can subscribe to that calendar to read events saved there on your iPhone 4S. Note that you can only read, not edit, these events. 1Tap the Settings icon on the Home screen to get started. Tap the Mail, Contacts, Calendars option. The Mail, Contacts, Calendars settings pane appears. The Add Account options appear. 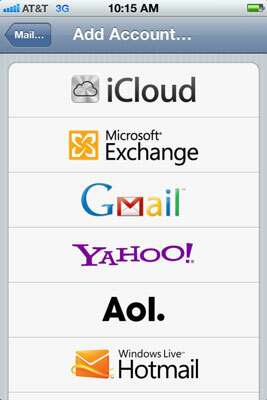 3Tap an e-mail choice, such as Gmail or Yahoo!. 4Enter your name, e-mail address, and e-mail account password. Tap Save. 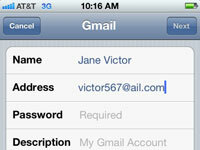 iPhone verifies your address. 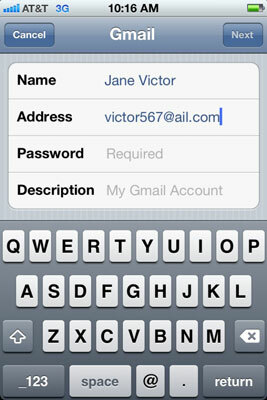 5Tap the Fetch New Data option in the Mail, Contacts, Calendars dialog. Your iPhone retrieves data from your calendar at the interval you have set to fetch data. Review these settings. 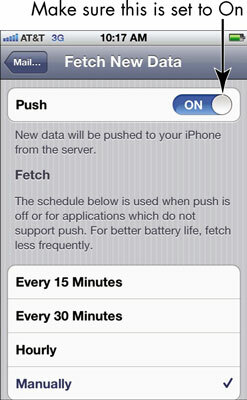 6In the Fetch New Data dialog that appears, be sure that the Push option’s On/Off button reads On. 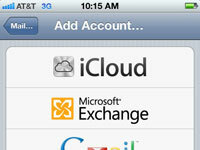 Choose the option you prefer for how frequently data is pushed to your iPhone.